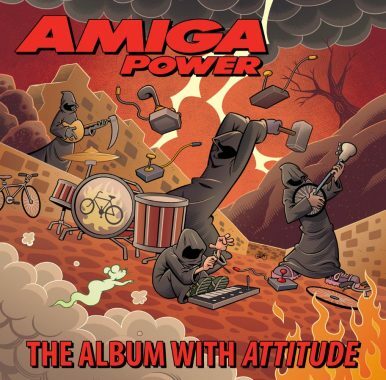 Home > Support the Kickstarter: Amiga Power: The Album With Attitude! 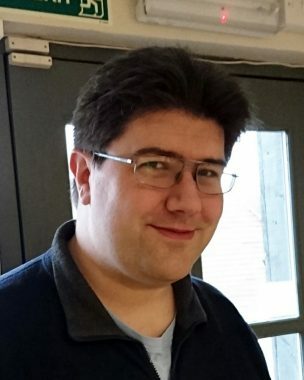 My name is Matthew Smith, I work in journalism and publishing, and I’m also currently working as the producer of Amiga Power: The Album With Attitude, a new collection of video game music remixes that I’m seeking to fund via a Kickstarter campaign which has just gone live (as of 9am on Friday, March 29th). AP’s games reviews and features weren’t just reliably informative, they were inventive and hugely entertaining, to the point of being inspirational. It was Amiga Power that made me want to become a journalist myself, and it’s only a shame the mag closed down years before I entered the profession, as the AP offices always seemed like an exceptionally fun place to work. In more recent years I’ve become involved with the Amiga music remixing community; I’m not musically talented myself, but for some little while I’ve been commissioning remixes of my favourite game tunes from a number of my favourite artists, and it was as a result of this that I ended up working on the Amiga Power album. Plus! Courtesy of Jeroen Tel, there will be a new rendition of AP reader Paul Hamilton’s famously catchy Valhalla remix, It’s A Skull. You lucky people. Accompanying both discs will be a deluxe liner notes booklet containing more than 80 pages of intriguing facts, full song lyrics and written contributions from the former AP contributors mentioned above. Plus, as well as the fantastic cover art by comics supremo Roger Langridge, you’ll find further exclusive artwork inside by computer graphics whiz AJ Jefferies and Scarred For Life author Stephen Brotherstone. The whole physical package will take the form of a gorgeous little hardback book, with the CDs contained neatly in plastic trays on the inside front cover and the inside back cover, not unlike the artist’s impression pictured below. Rumour has it that there may be some hidden bonus things secreted somewhere about the AP album’s person. We couldn’t possibly comment. The first game I can clearly remember being captivated by was Ghostbusters on the C64. I was a massive fan of the film (I still am, in fact), and so the discovery that there was a video game adaptation was hugely exciting to me. I never actually played the thing, though; as a tiny child I was nervous of getting it all wrong, so I preferred to watch the game’s owner (the teenage son of some friends of my parents) play through it instead. I did later acquire the Atari 2600 version of the game for myself, but by then I was a bit more aware of how clunky and repetitive the whole affair was, so it didn’t hold quite the same appeal. What made you decide to create the Amiga Power album? A couple of years ago a friend invited me to work as co-producer on an album of Amiga game music remixes that he was creating. I enjoyed the experience enormously, and I decided that I wanted to create an album of my own in a similar vein – and Amiga Power seemed like the ideal thing for the whole project to revolve around. It dawned on me that I could get in contact with the old magazine team members and ask them to nominate some of their favourite Amiga game tunes, and from there I could draw up a shortlist of tracks for remixing; I also thought it might be possible to create further pieces based on some of the games and demos that featured on AP’s coverdisks over the years. This was back in late 2017; now, roughly a year-and-a-half later, I’m looking to produce a double-CD box set containing 35 tracks which is, in effect, the world’s first tribute album to a video games mag. The first disc is going to be full of remixes based on tunes personally selected by former AP contributors, and the second contains new arrangements of tunes from coverdisk games. What hurdles have you encountered while putting the album together? The first and most crucial thing was securing a licence to use the Amiga Power name and logo, as the rights still reside with Future Publishing. This wasn’t much of a hurdle, though; the people at Future were extremely helpful, and sorting out a licensing agreement was reasonably straightforward. More tricky was securing the rights to remix certain tunes; a few larger companies just said no immediately (one tune that was nominated for inclusion early on was the theme from Rainbow Islands, which was the number one game in AP’s All-Time Top 100 list for two years running, but Taito weren’t having it), and tracking down the composers of certain tracks was quite an undertaking. Overall, though, working on the AP album has been a great deal of fun, and made all the more so thanks to 010101 Music (the independent record label I’m working in association with; they’re handling the production side of things) and C64Audio.com (whose founder, Chris Abbott, has been providing invaluable guidance on the Kickstarter). Can you sum up why people should shell out for this album? Well, for a start we’ve got a terrific line-up of musicians creating the remixes, including Andrew Barnabas, Allister Brimble, Mike Clarke, Fabian Del Priore, Olof Gustafsson, Jogeir Liljedahl, Jon Hare, Chris Huelsbeck, Barry Leitch, Patrick Nevian, Jason Page, Instant Remedy, Matthias Steinwachs, Jeroen Tel and Tim Wright. There’s going to be a huge amount of variety in the tunes on offer, including some extra-special tracks – Chris is composing an original theme for Gravity Power (a game created specially to be given away with AP’s 50th issue, which didn’t have any music), and from dance music pioneers Joi we’ve got one of their original Chaos Engine studio tracks from 1993, which almost nobody has ever heard given the extremely limited release they had at the time (just 500 copies of a white label record). Also, the album is going to feature more than just music – alongside the CDs there’ll be The Mighty Booklet, containing more than 80 pages of facts, song lyrics, exclusive artwork and written contributions from the AP crew. Plus, there are loads of nifty rewards on offer as part of the Kickstarter campaign, such as full bonus albums, art prints and posters. So, lots of reasons, basically! After the completion of this album, what are your plans? Maybe an AP annual? I gather there were tentative talks a few years ago about creating an Amiga Power book of some description, but sadly nothing ever emerged. 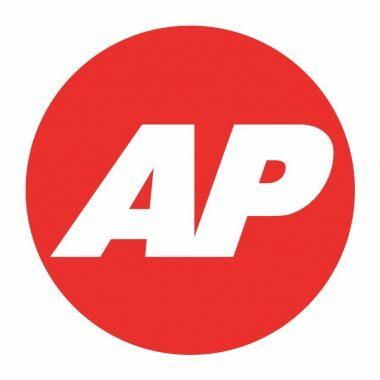 However, if the album does well, I’d be thrilled to look into the possibility of creating an AP annual; the magazine’s colourful history offers heaps of potential for interesting articles and interviews, and I’d love to see the team back together reviewing Amiga games they never got to play the first time round. Do you have any plans for more albums in the future? Funny you should mention that. Remember the Amiga remix album I mentioned earlier, that I was invited to work on as co-producer? Well, work is still continuing on that particular project behind the scenes, and I may well be providing further assistance to finish the whole thing off, so that’s something to keep an eye out for. I can’t say too much else just at the moment, but I’ll be more than happy to provide further details as soon as everything is ready for unveiling! My favourite computer was my Amiga, and my favourite console the Mega Drive. Do you have a favourite? It won’t surprise you to learn that my Amiga 500+ remains my fave computer of all time; it was the first one I ever owned, it was replete with marvellous games that I had vast amounts of fun playing, and it’s no exaggeration to say that it improved my whole life. My all-time favourite console, however, is the Super Nintendo. I never owned one back in the day, but if I hadn’t had my Amiga, it’s the machine I’d have most wanted to get my hands on. I had a couple of SNES-owning friends during the ’90s, and to me it was like having your own personal arcade; the ports of coin-op titles like Street Fighter II, Turtles In Time and Smash TV were extraordinarily faithful to the originals, and most of the best original games felt like they wouldn’t be out of place in an arcade either. Just a bit of a shame the carts were so murderously expensive, really. Harlequin on the Amiga. To my mind it’s the finest platformer ever to grace the format, and one of the best games ever made that most people have never had the opportunity to play. It’s a masterpiece of design, it looks wonderful, making terrific use of colour to enhance the atmosphere, it has a fantastic soundtrack courtesy of Barry Leitch and it sparkles with imagination and ingenuity. Every level is a completely unique experience, not only in terms of look and feel but in the challenges you have to overcome, and the eponymous central character is immensely likeable, frequently chipping in with cheery advice if you let him stand still when a lightbulb flashes above his head. A total gem. Do you still game on the current consoles, and if so, what’s your favourite game? I don’t own any of the current-generation consoles (though I am thinking about getting a Nintendo Switch), but I’ve been able to keep up with more recent games thanks to PC-owning chums, and probably my favourite of recent years is Doom 2016. It brilliantly captured how it felt to play the original Doom back in 1994, when it was fresh and new and wonderfully scary, while bringing the formula bang up-to-date, and it was fantastically exhilarating fun from beginning to end. The humorously blunt characterisation of The Doom Slayer was kind of brilliant, too; I wasn’t expecting the game to make me grin quite so much. Without a shadow of a doubt, Rise Of The Robots on the Amiga. Fortunately I never spent any money on the wretched thing – Amiga Power’s review, in which they awarded it a score of 5%, made it abundantly clear that it wasn’t worth buying – but I did get to play it a few years later, and it was exactly as abysmal as I’d been warned it would be. The fact that you can wallop every robot into submission by just holding down the fire button and the up-right diagonal on the joystick (so that your character, the personality-free blue cyborg, performs non-stop flying kicks) never ceases to amaze me. The bleeding game cost £43 brand new, and you could complete it in 10 minutes without having to look at the screen. Everybody involved with it should still be utterly ashamed of themselves. It’s always fun to see reviews of old games from a modern perspective, particularly obscure and peculiar old games that the reviewer is encountering for the first time. Did you ever play Wizkid on the Amiga back in the day? I’d be fascinated to hear what you make of that one!